Anil is the cherished son of a large family in rural India. As the eldest boy, he is expected to inherit the role of leader of his clan and arbiter of its disputes, dispensing wisdom and good advice. Leena is his closest companion, a fiercely brave girl who loves nothing more than the wild terrain where they live and her close-knit family. As childhood friends, they are inseparable – but as adulthood approaches, they grow apart. At home, Leena dreams of marriage, a strong and true love like the one shared by her parents, and leaves her beloved home to join her new husband’s family in a distant village. Then things start to go wrong: Anil makes a medical mistake with tragic results, his first love begins to fray and a devastating event makes him question his worth as a doctor and as a friend. On a visit home, Anil rekindles a friendship with the woman who seems to understand him better than anyone else. But their relationship is complicated by a fateful decision made years earlier. As the two old friends try to understand their feelings toward each other, they must also finally find a way to balance responsibility with freedom and loyalty with love. 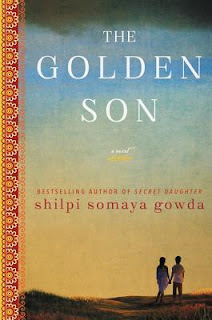 Having already read Secret Daughter and absolutely loving it, I knew that I really wanted to, no HAD to, read this next book by Shilpi Somaya Gowda. 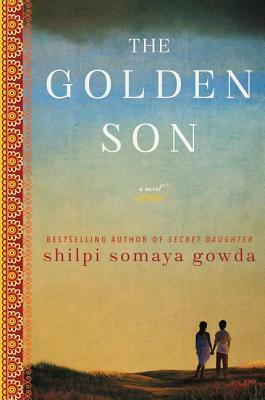 It is no secret that I have a love for all books set in India. For some reason the culture appeals to me greatly and this book just reinforced that love tenfold. Anil and Leena are the two main characters in this book and I absolutely adored how the story would alternate between them and also between the past and present. A very complex story, full of modern and traditional ways of thinking, I could not have enjoyed it more. The story was rich with detail and was woven together so masterfully that not one word seemed out of place. Almost lyrical at times, the story really brought the characters to life and at times I had trouble believing that it was just fiction. I wanted to believe in the characters so much and was so immersed in their story that I had trouble putting the book down. An absolute must read, this book was all I had hoped it would be and more! Dramatic and full of moments of love, make sure you have time to devote to this book because I am sure you will also have trouble letting go of it! I'm so glad that you feel like this lived up to your high expectations! Thanks for being a part of the tour.